Giving the work of black writers exposure and sharing that literature has been a huge part of Dr. Brenda M. Greene's life and career. A professor of English at Medgar Evers College of the City University of New York, she is the director of the National Black Writers Conference and executive director of the Center for Black Literature. The most recent conference had the theme “Gathering at the Waters: Healing, Legacy and Activism in Black Literature.” Among the presentations was a roundtable discussion on literary activism in the post‐Obama era. The Black Writers Conference was first held in 1986. This year's theme was a reflection on modern society, addressing through literature issues such as social inequality and injustices. It was also a look at how to build on the legacy of activism that started with slave narratives and continues to the present day. In an effort to provide a range of topics, each day of the four‐day conference there were different offerings, such as films and writers' workshops as well as panel discussions. Scholars also presented papers. Conferences are generally held in even‐numbered years. In odd‐numbered years, there are one‐day conferences focused on a particular writer or issue, such as Audre Lorde, Octavia Butler and August Wilson. The center developed from the conference. Its mission is to expand, broaden and enrich the public's knowledge and aesthetic appreciation of the value of black literature. By example, the conference included an elders' workshop that showcased writers in their 70s and 80s, mostly women, who have been writing their life stories, several of which have been published as Tales of Our Times. 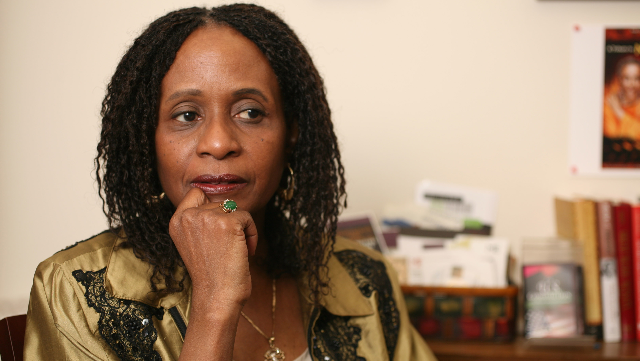 An award‐winning writer, editor and scholar, Greene has taught at Medgar Evers since 1980. She received Faculty Scholar Awards from the City University of New York and has been inducted into the Gwendolyn Brooks Conference International Literary Hall of Fame for Writers of African Descent. During a sabbatical in 2002–03, she managed Nkiru Books, the oldest independent African‐American bookstore in Brooklyn, which her son, hip‐hop artist Talib Kweli, and Mos Def had purchased. She restructured it into the Nkiru Center for Education and Culture. “We began to hold more readings. We had a children's theater program. We had open mics and poetry slams,” says Greene. When she returned to Medgar Evers following that sabbatical, she saw the need to institutionalize the work of the conference. The Center for Black Literature also provides programs for young people in the community and creates a space for writers' workshops. Thankfully, the college's then‐president was supportive of the center and at its founding gave Greene time to write grants that secured funding, as well as doing outreach and networking to get people involved. Currently, Greene is chair of the English department at Medgar Evers, and there is an internship program for students to work at the center. “Part of my vision has been to develop a niche and to expand it by partnering with different organizations and cultural and educational institutions in the programming we do,” says Greene. There are partnerships with the Brooklyn Book Festival, the Schomburg Center for Research and Black Culture, the Bedford Stuyvesant Restoration Corporation and the Brooklyn Public Library that expand center programming. Greene had a vision to do satellite conferences across the country. Three years ago, the center began participating in the Multi‐Cultural Education Conference at Sacramento State University CA. Her vision is to continue to expand the center and conference's brand and to have more satellite conferences throughout the year. This work engages not only black writers, but also the general public. “Literature is powerful because literature allows you to tell the truth and to use your imagination to expand on those issues that are sometimes difficult to talk about,” says Greene. “For example, depression, violence, homophobia, issues around identity. Fiction gives you the space to do that and to stir the emotion. “A large part of our programming is making sure it's in the high schools,” Greene says. “We bring teaching artists into high schools, who work with teachers and students and connect them to new texts. Photo credit: Chester Higgins Jr.